Afghan Chicken recipe by Nazia Nazar at DesiRecipes.com. together until you have paste. Add yogurt, lemon and pepper. each backward to break the bones so the pieces win lie flat. Add to the yogurt and turn so all surfaces are wellcoated. Cover the bowl tightly and refrigerate. Allow to marinate at least overnight, up to a day and a half. Turn when you think of it. To cook, remove breasts from marinade and wipe off all but a thin film. Yes, boneless chicken would work fine. 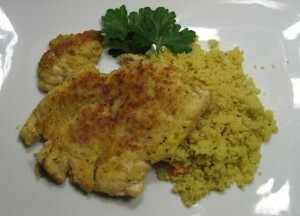 Does this recipe work with boneless chicken breasts?